There are plenty of broad beans to pick at the moment, so this time we tried a new recipe. 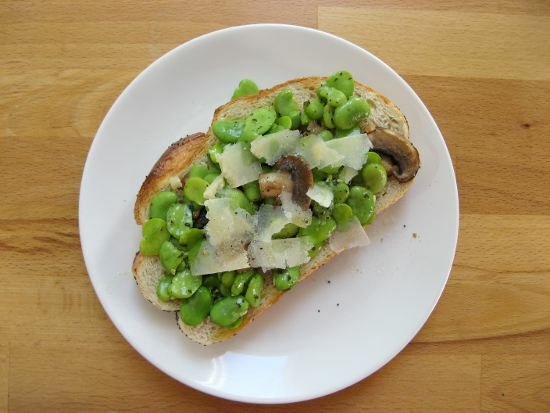 Broad beans and mushrooms on toast. – Place the cooked beans in a bowl and crush slightly. Mix in a couple of glugs of olive oil, a couple of glugs of lemon juice and a teaspoon of mint sauce. – Place the beans, mushrooms, garlic on the toast drizzle with a little more olive oil, salt & pepper and top with parmesan shavings.